Dr. Lewis J. Patsavos Ph.D. The long-awaited common celebration of Pascha on April 15, 2001 by all Christians has come and gone. It was in 1990 when this coincidence last occurred and will be in 2004 when it occurs again. In anticipation of this common observance by all Christians, much was said and written. What was stressed was the need to keep alive the momentum of the occasion. Unless we all understand the significance of this event, it will remain nothing more than a peculiarity of the calculations related to the date of Pascha. In one sense, that is what it is. But in another sense, it is the convergence of all that we as Christians in the East and West profess regarding the centrality of the Resurrection of Jesus Christ as the cornerstone of our faith. Specifically with regard to this year's date of Pascha, the following observations are made. The invariable date of the vernal equinox is taken to be April 3 (March 21 on the Julian Calendar). Pascha must therefore be observed on the Sunday following the full moon which comes after that date. According to the 19-year Paschal cycle, the first full moon which comes after April 3 this year is on May 1 (April 18 on the Julian Calendar) - the day assigned to the Jewish Passover as calculated originally. In reality, this full moon falls on April 27, a discrepancy left uncorrected in the paschal cycle. 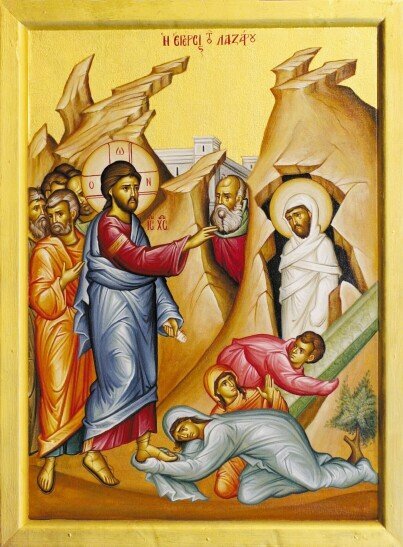 As already stated, the provision of the First Ecumenical Council calls for Pascha to be observed on the Sunday following the first full moon after the vernal equinox. Since May 1, for the reasons stated above, is taken to be the date of that full moon, the following Sunday, May 5, is the day on which Pascha is observed this year.